If you haven’t noticed by now, rep speed has become a bit of a fascination among the gym bros of the world. A lot of debate exists over how fast you should complete your reps. Ask a powerlifter or weightlifter and they’ll probably say you should lift as fast as possible. However, a bodybuilder will probably say you should slow down and “feel” the reps. Of these two opinions, which one is correct? Well it really depends on the goal of the movement. You probably wouldn’t want to intentionally try hitting a 1RM clean and jerk with a slow rep speed. But certainly there are times when going slow has its advantages. Regardless of whether you are trying to bring about some enhanced response, shouldn’t you be mindful of the cadence you use when you complete an exercise? So much attention is paid to other aspects of lifting (number of reps, weight on the bar, etc.) that most people forget tempo is a variable we can use as well. But how can we use tempo to our advantage and what can we expect to gain from it? 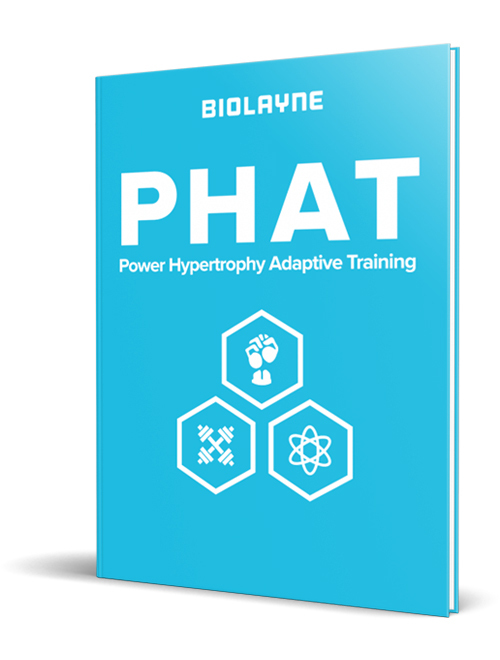 Much of the fuss around tempo is focused on its potential benefits for hypertrophy. However, you’ll find that tempo has much more to offer outside of hypertrophy alone. Does Increased TUT = Increased Gains? Many bodybuilders have sworn by the principle of time under tension (TUT) as a key to muscle hypertrophy. The logic is pretty sound on this one. The more mechanical tension you apply to the working muscle, the greater the response with respect to muscle growth. By using a tempo that emphasizes the time under tension, you would theoretically increase the muscle building potential of the exercise. One study found that increasing the time spent lifting a submaximal weight led to significantly greater muscle protein synthesis compared to lifting the same weight with a faster tempo  . This makes sense though because the weight stayed the same for both conditions and the same number of reps were completed with the slow tempo being taken to failure. They simply did more work in the slow condition compared to the fast. However, another study found that fast velocity rep speed may be more effective than slow velocity reps when volume is equated  . For the most part, it seems that increased time under tension doesn’t necessarily mean that you glean more benefit. It seems to come down to a matter of volume. Although the slower velocity allows you to apply more time under tension to the working muscle, the load has to be lower in order to compensate. This reduction in weight negatively impacts the total volume of the exercise, which seems to negate some of the potential hypertrophic benefit. Even the prospect of activating more muscle fibers seems to be lost on TUT. The mind muscle connection that the bros advocate so strongly for may not make much of a difference when it comes to motor unit recruitment. There are two ways to recruit a higher order motor unit (the type II muscle fibers): expose the muscle to heavy weights, or cause enough fatigue in the lower order units to force activation of the higher ones. Increased TUT plays on strategy number two. However, it seems that higher velocity or heavier reps actually tend to recruit more muscle fibers than slower muscle contractions   . Tempo: What is it Good for?